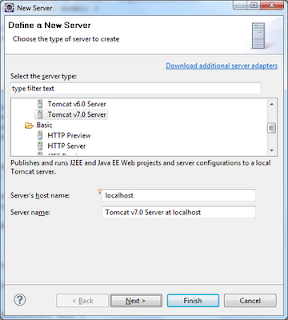 This blog describes how to create a Tomcat server in Eclipse Helios. As a starting point I’m assuming that you’ve installed Tomcat and it’s running okay. If you’ve installed it using the Windows Installer, ensure that you stop the Tomcat service before you follow these instructions. Step 2: find the Tomcat server corresponding to the version that you have installed on your machine and press ‘Next’. 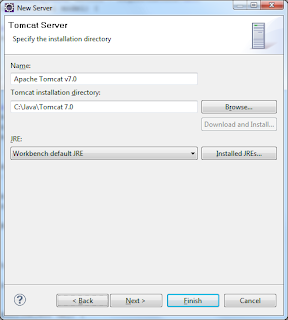 Step 3: use the browse button to setup the Tomcat installation directory and press ‘Next’. 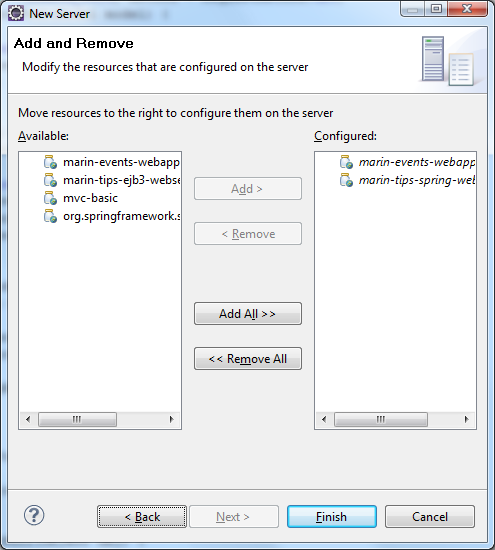 Step 4: use the above dialog box to select and add the web project(s) that you wish to host on your Tomcat installation. 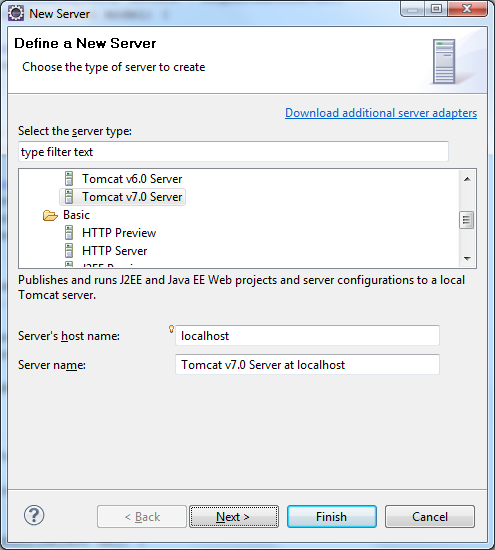 Integrating your server with eclipse in this way means that when you change a file in your web project, then that change should automatically be deployed to Tomcat. 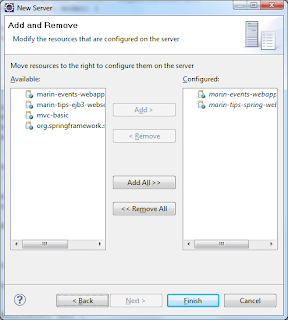 However, if you’re using m2eclipse, you should also ensure that you download and install the m2eclipse WTP support as this seems to ensure that the correct lib files are copied from your workspace to the Tomcat deployment directory for your application. See my blog on 03/07/2011 for more details on how to do this.